NOTE: THIS TEXT IS MEANT FOR FUN PURPOSES ONLY!!!!!!! DO NOT TAKE SERIOUSLY!!!!!!!!!!!!!!!!!! 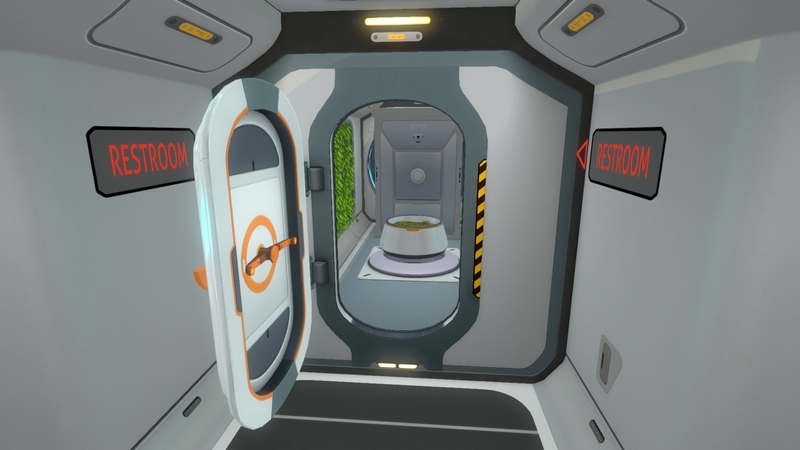 -My lifepod fell apart before i even crashed. -All Alterra tech looks like Apple products. -The AEP suit States it will protect you against a "universe of infinite danger" even though its not even proof against radiation. -The Aurora blows up again. -The med kit fabricator runs on thin air. -The precursors (Aka forerunners) built the quarantine enforcement platform (Aka Halo) to make sure the Carar (Aka flood) didnt escape. -The pressure at 100m below sea lvl dont kill. -I know a friend who does Scuba, and she says that you are supposed to use your legs when diving. Not your arms. -I can build a submarine, but not a Harpoon? What the sh*t!? "The med kit fabricator runs on thin air" always bugged me, also we used to be able to fab the Med kits with the main fabricator. I can't recall the recipe, I think it was rubber and some thing else. I wish we had to preload it with the old recipe items, then let it do its thing and make the kits over time. Hey, real quality snark costs! The animations should have reflected actual underwater swimming. And diving is rather complex with correct breathing gases and decompression. The following just cover the first of these. It's still there. Under Personal Equipment, Bleach and Fiber Mesh combine to make a First Aid Kit. And you think this is an accident? Ellen McLain is expensive, dude. Clearly you've never bought something from WalMart. Incorrect. It operates by sucking the souls out of kittens. Yes, your good health has been murdering kittens. Monster. And it still didn't work. Again. It won't. The pressure at 700m down won't kill you...unless you're breathing air, in which case, yep, you're toast. What? 10 atmospheres too much for you? Truth. Now in commercial diving, I had a lot of weights on so didn't really have to kick much. More like walk slowly. You forgot the most important sin. "Game does not contain a lap dance. *DING*"
All this base building, even a bed, but no toilet or shower. Seriously missed opportunity. What's a survival situation without the sudden inopportune need to take a dump? Health, food and water maximums should go down over time and can get replenished when using the facilities. To use another meme... 7.8/10, too much water. Underwater animals make land animal noises. Scandal! The base lady welcomes me when I leave and says nothing when I arrive. I think she is plotting to kill me in my sleep. That's the back of a locker behind the planter, I'm guessing (I so rarely look at the back of lockers), but what's that under it, making that ring-shaped stand looking thing? You can't put hatches in the bottom of corridors, so what is that? Very clever, BTW. Oh, right, nitpicks, I almost forgot. 2.) If the engine room lost "dark matter" containment, and it's buried way back in the spaceframe where you find it in-game... then why did the bow of the ship blow out like that? Shouldn't she have been cut in half? 4.) Again, not that I'm ungrateful for sparing the resources, but how come all that radiation fails to kill any damned thing at all - especially those damned Reapers - around the Aurora no matter how long it takes you to fix it? Yet it can kill you in a couple of minutes... A Reaper should have been good for what, an hour or two, max? Looks like a ladder drop, but I don't see how it could be. Good snag on the back of the locker; I sure couldn't place it. It's definitely got the outline of a ladder drop, and (though I'm not sure how you could force it), it apparently is possible for ladder tops to orient either way ("front/back" or "left/right") in a corridor, so that could be what the locker is supposed to be hiding. That nice-looking ring base around the planter, though, that's not part of any hatch or ladder arrangement I've ever seen, nor is it part of the planter model. Really killing me not knowing what that is. Stillsuit doesn't automatically malfunction after first encounter with a Reaper Leviathan. Stillsuit doesn't produce extra after Leviathan encounter. - That peeper looked at me funny... But which eye eyed me, or did it eye with it's one eye. What's in the eye of a Peeper... Peeper how do you work!? When you look into the Peeper, the Peeper looks into you. You can put hatches in the bottom of a corridor section. It'spart of how I made an airlock for my recent base. But the Eye-Eye actually peeps through you.
" Ellen Mclain is too expensive they said "
"May you be so kind and f%ck up every single lifepod until it somewhat works, so we can test how a lone survivor reacts to being stuck on an ocean planet?" There are no pack predators in Subnautica. I am disappointed that there are no pack predators in Subnautica. It could have resulted in some interesting gameplay if there were pack predators in Subnautica. And we can't be a Stalker Whisperer either. Maybe they aren't employing special tactics beyond "Get 'em! ", but I call it a "pack" when 3 or more toothy things attack at once, at least when they're my size or larger. By that measure, everything except Leviathans come in freaking packs in this game. Even Warpers, though pairs are more common there I have seen 3 at a time. "Oh, there's a boneshark up ahead. I guess I'll just swerve to the left and... nope, two more over here, okay, just dive under them and -" WHAMWHAMWHAM - "oops, there were 3 below me and now another coming up from behind..." Yeah. No pack predators my arse.